Following a promise to U.S. President Donald Trump, North Korean leader Kim Jong Un has returned the remains of U.S. soldiers who died in the Korean War. Doubters called Trump's negotiations with North Korea fruitless and said that North Korea wouldn't follow through on its promises but now the families of those who died for America can finally have peace. The move is welcomed by waiting relatives who have been hoping for the return of loved ones for many years. The repatriation was one of the agreements President Trump arranged between Kim Jong Un, along with the denuclearization of the Korean Peninsula though you can see why some would be skeptical. At least this show of good faith is a step in the right direction and another tangible example of North Korea's willingness to negotiate. The return of the fallen soldiers comes on the 65th anniversary of the signing of the armistice that ended the Korean War which lasted from 1950-1953. A White House statement said it was "encouraged by North Korea's actions and the momentum for positive change". 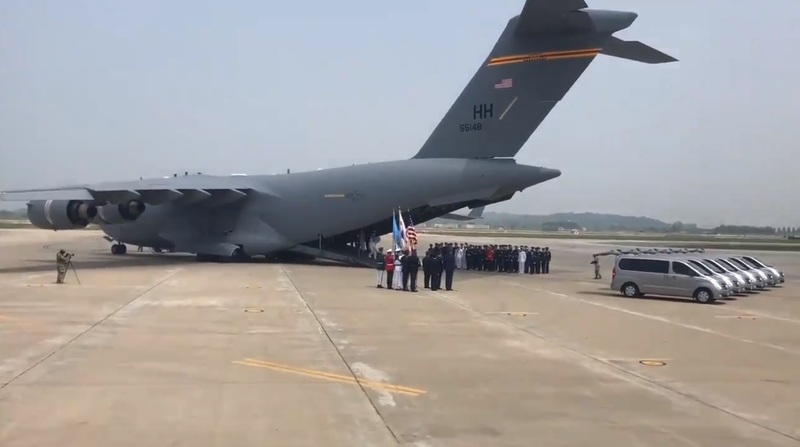 The remains of the fallen soldiers are aboard a U.S. military aircraft and will land at the Osan base where a repatriation ceremony will be held on August 1 to honor the memory of the Americans who died in the war.